So much of what happens in our business is not what is front of us today, but where we need to be in the future. I believe there are several reasons that “anticipation” is the key to running a successful business. I would like to share three areas of your business where anticipation is an important skill for you to cultivate for success. Planning: It is not enough to simply develop products and services based on the problems that your clients/customers are having right now. You must also keep an eye on where those problems could lead to in the future, and how they can be addressed. Differentiation: You have to know what sets you apart from your competitors. But you must keep an eye on your competitors. They are shifting their strategies and considering new offerings too. Is what you are currently offering sustainable? More importantly, is it subject to disruption that you haven’t considered? Sales: Selling a product or service to your client or customer is not as simple as putting something out there to be purchased. There is an art to customer service and being able to anticipate potential objections and create strong reasons why to buy in spite of them. Knowing your client or customers? reservations about the purchase of your product or service, before they can throw objections at you, shows that you understand your target consumer completely, and have taken the time to build something that truly fits their needs. 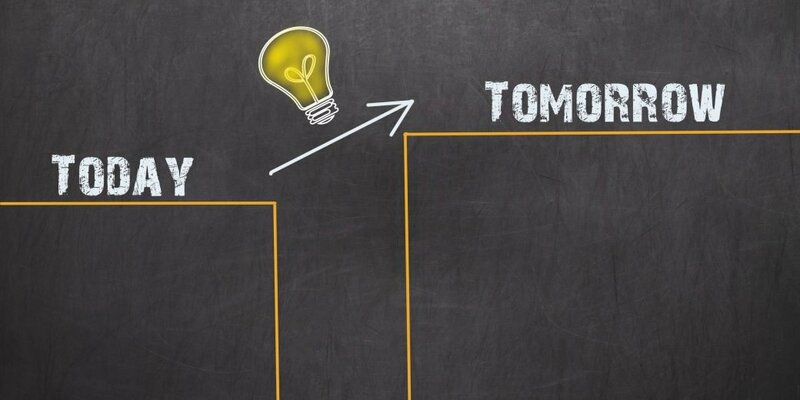 Consider the power of these three opportunities to anticipate the future of your business. As you plan how your business is going to look now and going forward, think about the other places in your plan where you can apply some future thinking. I’ll be waiting to see what you come up with with great anticipation! If you would like some help, click here to schedule a Complimentary Clarity Call. Sandra Hughes, MBA CPCC is a mentor and business strategist who is about one thing: elevating people to their full potential. Before starting her own business, over 30 years she held several management positions and was at Gap for 12 years — at one point becoming a Senior Real Estate Executive within the international division. Now, she helps professionals, entrepreneurs, freelancers, and consultants realign their lives in order to maximize their talent, reflect their values, and achieve the income they need to live and retire comfortably.